This article is dedicated to those who are either encountering problems with their e-commerce website even though the website is complete and has attracted a good amount of traffic or who are looking for ideas regarding eCommerce website development. We have compiled a list of ways through which you can yield more from your website. Call to action is like a paved pathway for your customers, telling them where to go, what to do, and how to buy a product. 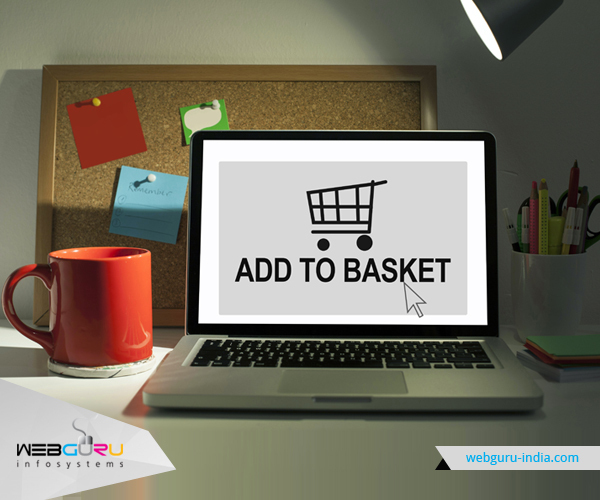 It is an essential part of your eCommerce website because without the proper prompt or guidance, your customers will be lost. Whether you have already developed your eCommerce website or you are planning to design an eCommerce website, you need to make sure that the directions are clear and easy to understand for your customers. 1. Test Different Colors, Themes and Fonts: The best option for CTA would be to add a ‘Buy Now’ button on every page or with every product. Test the button out by trying various colors, patterns, or themes that compliment your website. This will help in not only complimenting the theme, but also attracting attention from the viewers. 2. Keep Offers, But Only for a Limited Time: If your website offers discounts on products only for a limited amount of time, the customers may feel more inclined to buy those. It has also been proved by a research that urgency or limited period offer causes people to buy a product with huge numbers in very short span of time. 3. Keep Your Website Simple, Emphasizing on Important Options: It is important that your website is not over-crowded with unnecessary animations or other options. Keep your website clean. Put more emphasis on options of ‘Buy Now’ or ‘Add to Cart’ and others like this. You should choose attractive colors that call for attention. We would suggest you to choose a theme and stick to that color combination. 4. Keep Hero Images: Sites using hero or banner images provide a clear and direct link to the product that they are trying to sell. This is a great way for CTA. Try it out and watch as your sales go up. 5. Keep the Important Links on the First Page or Above the Fold: A ‘fold’ is the point where you have to scroll down. It is more likely that people will navigate through your website, checking out all the links if they are the first thing they see upon entering your website. So, the above mentioned were some of the ways through which you can add CTA options on your websites. Try changing, adding and deleting to see if it improves the sales of your eCommerce website. CTA buttons serve a number of purposes in terms of conversion. The write up discusses about some of the best practices of designing Call To Action buttons. The blog talks about inspiring designs for effective ecommerce call to action functionality. Well researched blog! An excellent piece of writing that shows 5 ways of designing inspiring ecommerce Call to Action functionality and how they work.